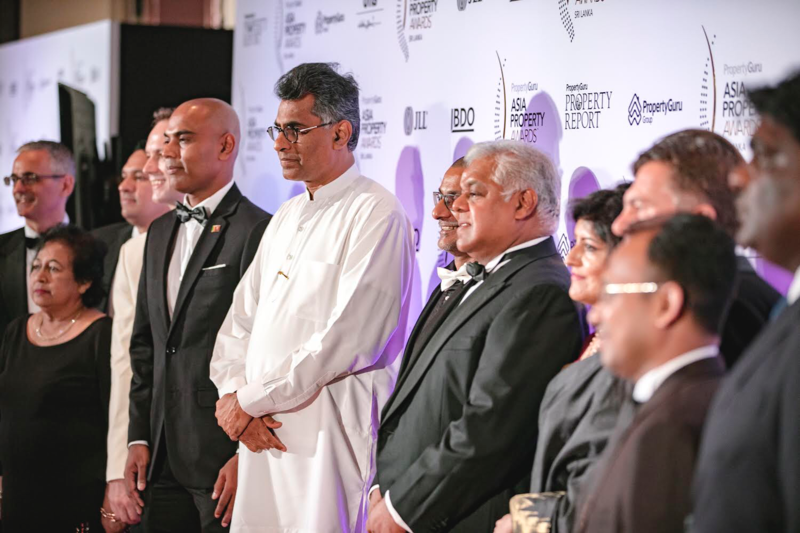 PropertyGuru, Asia’s leading property technology company and the host of the region’s largest and most respected real estate awards, recently announced that the prestigious competition would take place on Friday, 26 July 2019, at the Shangri-La Hotel in Colombo. The 3rd Annual PropertyGuru Asia Property Awards (Sri Lanka) recognises the year’s most outstanding developers, projects and design. Online submissions are now being accepted at www.AsiaPropertyAwards.com/nominations fromthe industry and the public. One of the most important aspects of this awards show is the prestigious panel of judges who are experts in their fields. They have have been selected in order to fairly reprise and correctly recognise the entrants in the competition. This year’s esteemed panel of judges include respected figures in the sector, namely Dr. Nirmal De Silva, Stephanie Balendra, Prof. Chitra Weddikkara, Roshan Madawela, Natalie Pendigrast, and Nilesh De Silva. With broad knowledge in real estate industry, Dr. Nirmal De Silva is a business professional with over 15 years of senior management experience. He was instrumental in setting up operations for Regus PLC, the world’s largest flexible workspace provider in Sri Lanka. Dr. De Silva recently started his new venture Paramount Realty and is serving as Directorand CEO of the company. Stephanie Balendra has extensive experience in the financial sector, and she will contribute her unique insight into the judging process from a financial, banking, and investmentperspective. She co-founded SB Realtors (Private) Limited and HomesNSpaces (Private) Limited. Prof. Chitra Weddikkara’s expertise in the building sector inSri Lanka and abroad is remarkable and counts well over 40 years of experience in the design and the construction field. Prof. Weddikkiara is president of the Women In-Construction Forum Sri Lanka Chapter, which raises and discusses issues relating to women in the Sri Lankan construction sector, in addition to providing education, and opportunities fornetworking, leadership training, and public service for women. Nilesh De Silva is an associate member of the Sri Lankan Institute of Architects as well as the Royal Institute of British Architects (RIBA). He graduated and worked in the United Kingdom. He is the Chartered Architect (Principal Design Architect) and director of Kahawita De Silva & Associates (Pvt) Ltd, is a leading design firm providing consortium services not limited to architecture, engineering, urban planning, interior design, quantity surveying and project management. The PropertyGuru Asia Property Awards (Sri Lanka) 2017joined the Asia Property Awards programme, Asia’s largest and most respected real estate honours. The event was first hosted in Colombo last year. In 2019, the event is supported by Thai Airways, the official airline. PropertyGuru Group is Asia’s leading property technology company and the preferred destination for over 25 million property seekers to find their dream home, every month. PropertyGuru and its group companies empower property seekers with the widest option of more than 2 million homes, in-depth insights and solutions that enable them to make confident property decision across Singapore, Malaysia, Thailand, Indonesia and Vietnam.